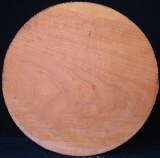 Cherry woodturning blanks yield beautiful looking bowls and hollow forms. This is a great wood for new woodturners. The heartwood is reddish-brown in color and the sapwood is light pink. Cherry's color deepens to its characteristic reddish-brown, almost mahogany-like color when exposed to the sun. 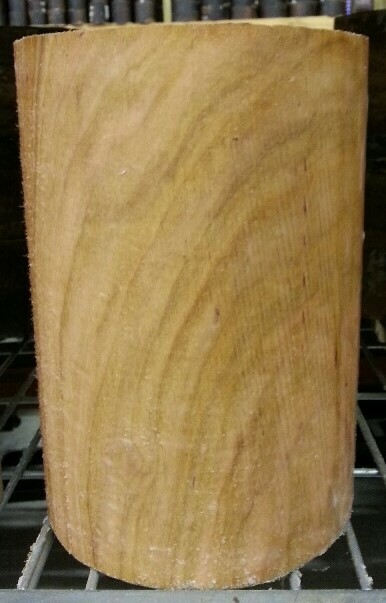 Cherry woodturning blanks often show a waving curly figure when finished. Moderately heavy, hard, and strong; this turning wood machines and sands to glass-like smoothness. 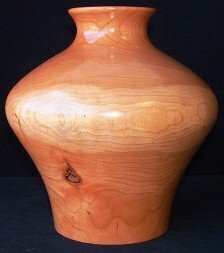 We have a limited inventory of end-grain blanks which can be used to make hollow forms, tall vases and urns. Hollow-form blank measurements are diameter x height. All pen blanks are dry wood.